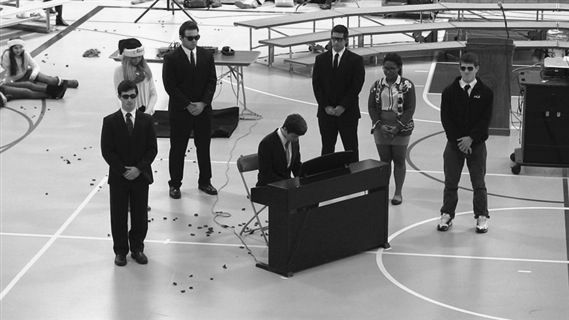 One of students’ favorite highlights of Hopkins is the annual Holiday Assembly, which includes an array of presentations from a cappella groups and choruses to instrumental ensembles, and, most intriguingly, the current senior class. 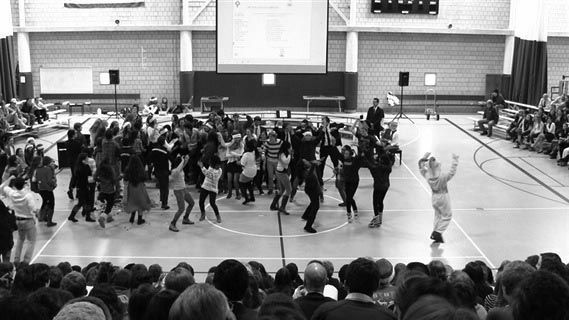 Each year, minutes before being released into the annual winter vacation, the entire school joins together to sing the song “The Twelve Days of Christmas.” Each grade is assigned a specific stanza to sing; however, the most memorable moments come with “Five Golden Rings.” Each time it comes time for the Hopkins community to sing these three special words, the senior class performs some type of thrilling sketch or mini-performance. Alex Siegenfeld ’11, a gold medal winner at the International Chemical Olympiad, crafted five golden rings from a chemical solution, using his extensive knowledge of chemical properties for the ultimate chanting of the song, a breathtaking achievement. In addition, seniors often elect to take advantage of the ample opportunities to use campus property in their sketches. For example, in past years, the campus golf carts have made appearances as Santa’s sleigh, escape carts, and Batman’s Batmobile: “Mr. Cronin’s appearance as Batman on the golf cart was really funny and definitely the highlight of my Hopkins career,” said Lynn Liu ’16. From anxiously awaiting the opening of the doors to the final assembly of that year to participating in the whispered rumors of potential stars in this theatrical act, students have ample reasons to be excited for the last day before Winter Break. There is no doubt that the Class of 2016 will produce a sensational act designed to unify the school again this year.